Faster, healthier, and yummier than Chinese take-out, this is one of those meals that you will crave for days afterwards. 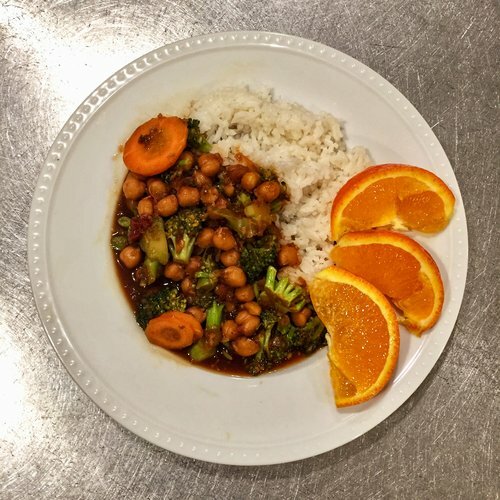 Broccoli, carrots, and chickpeas are simmered in a gingery brown sauce and served over a bed of organic jasmine rice. 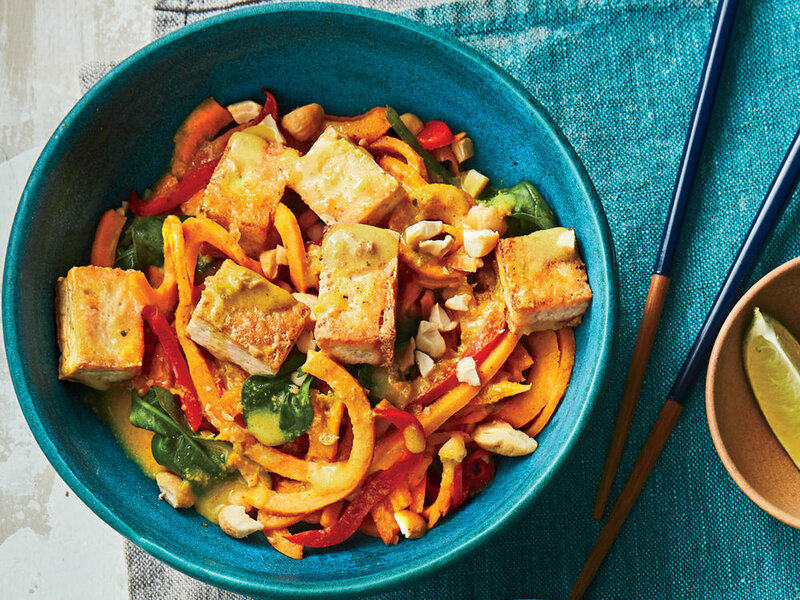 Spiralized sweet potatoes are simmered in a peanutty curry sauce and tossed with fresh veggies and baked tofu. Please pre-order here by Monday 8am!